Returning back to Brazzaville after five years was such a memorable experience. I got to visit and experience all the usual sites that I frequented during my stay there in 2012. The city has developed rapidly, from a posh new airport; bridges that illuminated in multi-colours at night; and fancy apartment blocks- Brazzaville now stood out like a sore thumb. In fact, I feel that it lost a bit of its old-world charm. Something that’s untouched and primitive exudes beauty. Modernisation tends to kill the natural beauty in this world. I have selected three of my favourite photos that I took out during my last trip in April 2017. 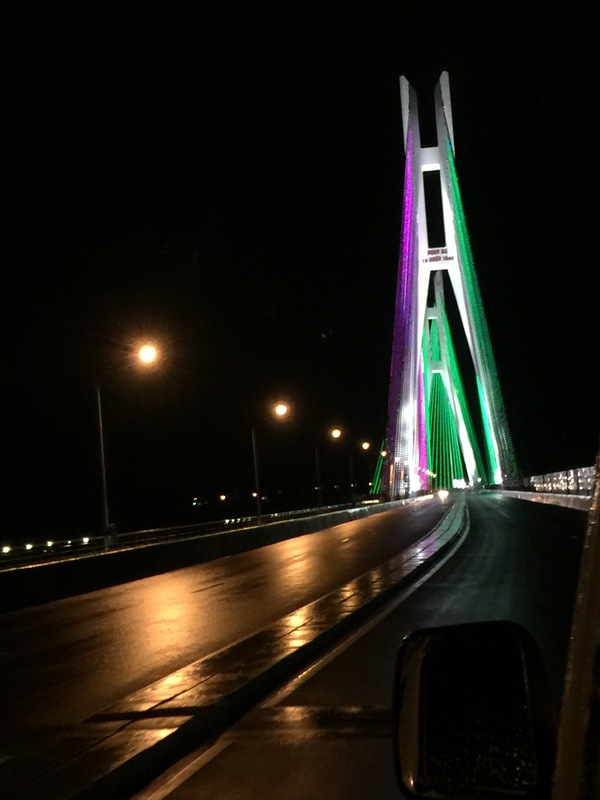 The bridge, Route de la Corniche, was supposedly built as a means to connect Brazzaville to its neighbouring city, Kinshasa (DRC) in the near future. This bridge was not even kn existence five years ago. So, you can imagine my bewilderment and shock to see this monstrosity of a structure! 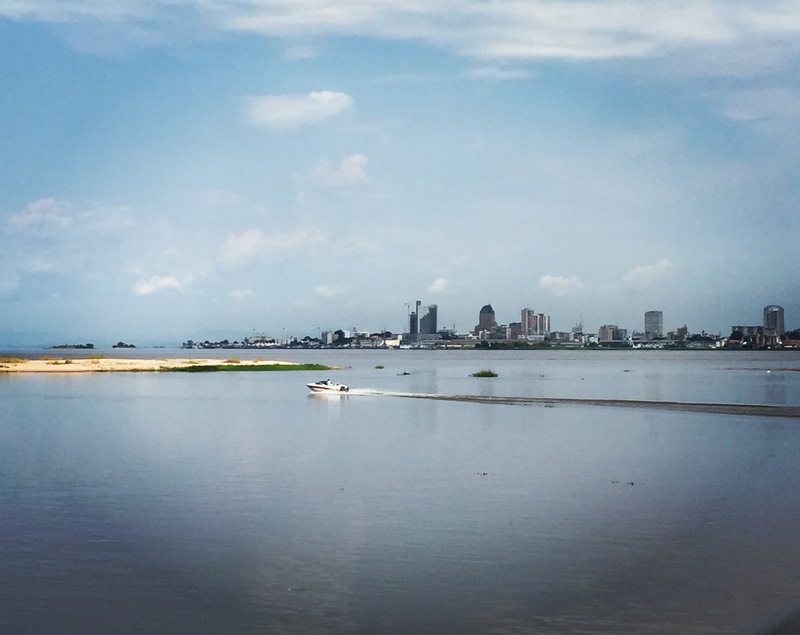 This snap was taken from the deck of the restaurant, Mami Wata in Brazzaville . In the distance, one can see the city of Kinshasa. 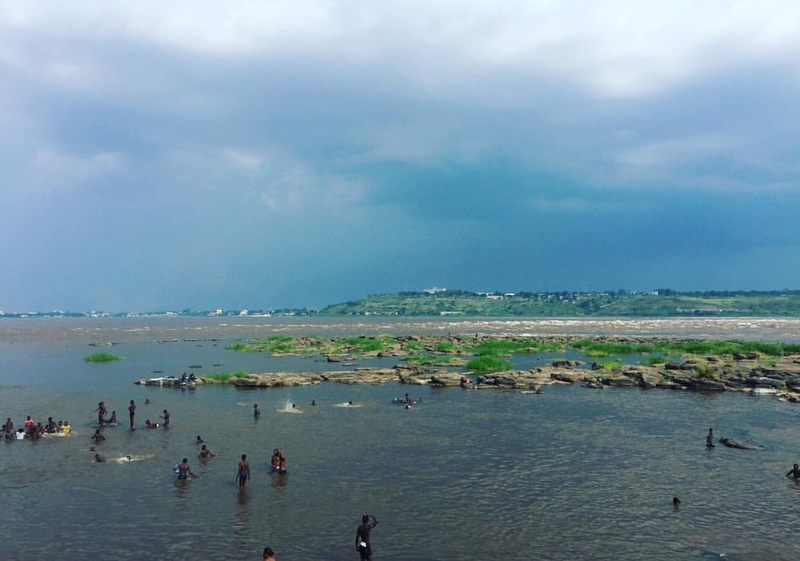 The Congo River separates these twin cities. This has to be my favourite view to gaze upon from all the African countries that I’ve visited thus far. On the outskirts of Brazzaville, you’ll have the opportunity to see the wild and raucous rapids being formed from the Congo River. Locals can also be seen delighting themselves in a leisurely swim. It’s quite nice to relax on the terrace restaurant and unwind after a long day. It truly is a marvelous view in all its simplicity. This city will always hold a special place in my heart. I have such happy memories of my time spent there and the incredible people that I had the opportunity to cross paths with.